DIANELLA resident Emily Casella has set her sights on representing Australia at the Special Olympics World Summer Games in Abu Dhabi in 2019. 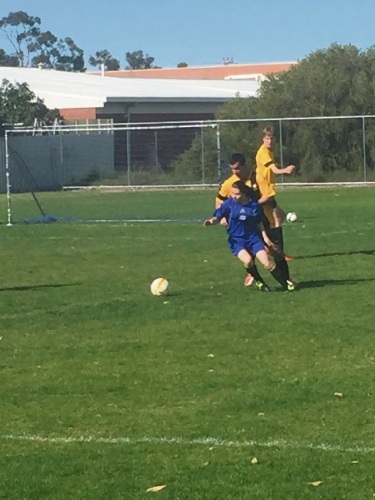 The Tuart Hill Soccer Club defender and midfielder, who has autism, is the sole female in the seven-a-side soccer team for the Special Olympics Australia (SOA) National Games held in Adelaide from April 16-20. The SOA National Games are held every four years and are a competition for athletes with an intellectual disability to compete in sports including soccer, athletics, basketball, gymnastics and tennis. Athletes competing at the Games are in contention to be selected for Abu Dhabi. Casella (23), who looks up to Australian stars Sam Kerr and Tim Cahill, said she loved playing soccer and being part of a team. Her goal for the national games was to score a goal and win. Mother Caron Casella said her daughter looked forward to competing at the Games for first time. “She (Emily) has been playing since she has been about 14 years old,” she said. “She did go to Sydney for street soccer last year and she actually got the best Australian female player. For more information, visit www.nationalgames2018.com.au.